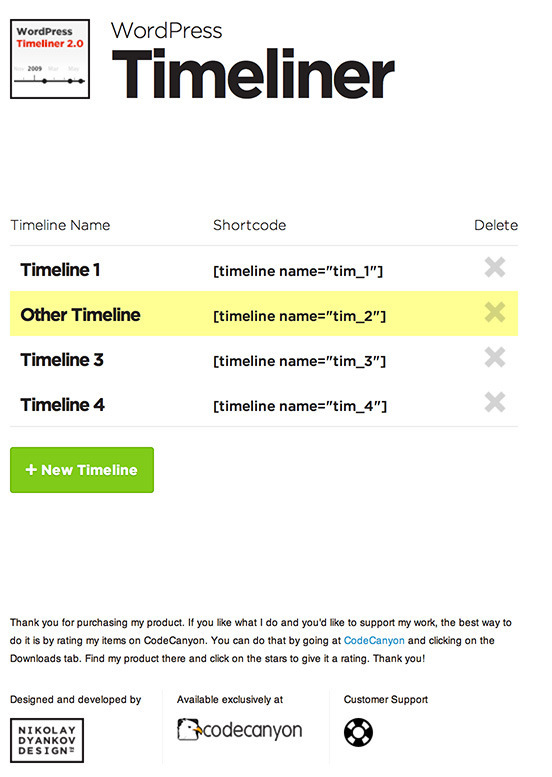 WordPress Timeliner is a powerful plugin, which generates a timeline based on events. What is an event? Well, it can be anything with a date stamp on it – a news article, a blog post, a portfolio item, you name it. If it has a date, Timeliner understands it! From the options page you can specify how many posts to get from the database and you can also choose one or more categories to get the posts from. 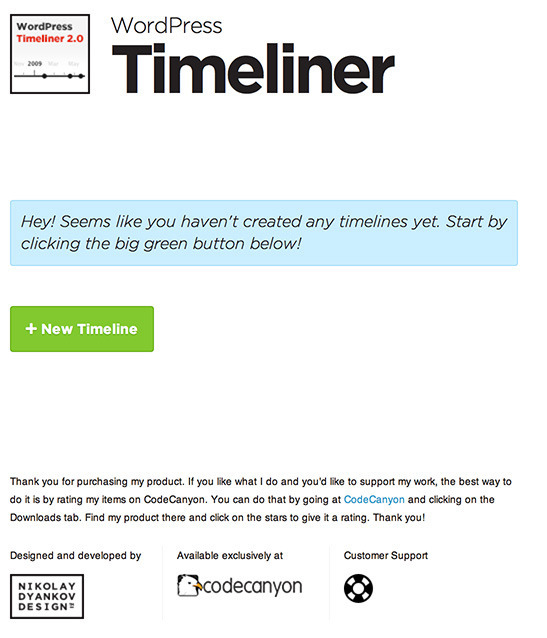 Timeliner comes with two unique designs to begin with, and it’s also easily customizable with CSS. I encourage you to watch the video preview to see how powerful and easy to use Timeliner is, and also how easy it is to install. Fixed a bug where the timeline would display two timelines on top of each other, while the “Auto” width option is not selected. Fixed a number of bugs that would occur if you tried to select content for the timeline after clicking “New Timeline” and before saving it. Fixed a bug that would sometimes prevent the last year to show on the timeline. Added back the “skins” folder, which was accidentally removed from the latest version. Fixed the issue where the timeline would always get inserted at the top of the page/post. Admin panel is rebuilt from scratch. Integrated help right in the user interface and a lot more user friendly. 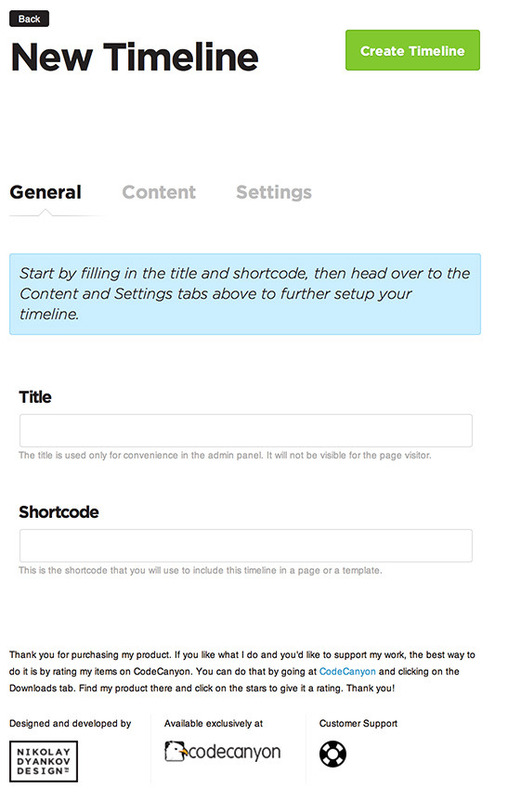 The plugin uses a powerful post “selector” engine borrowed from “Dynamic Grid: Posts Feed”. 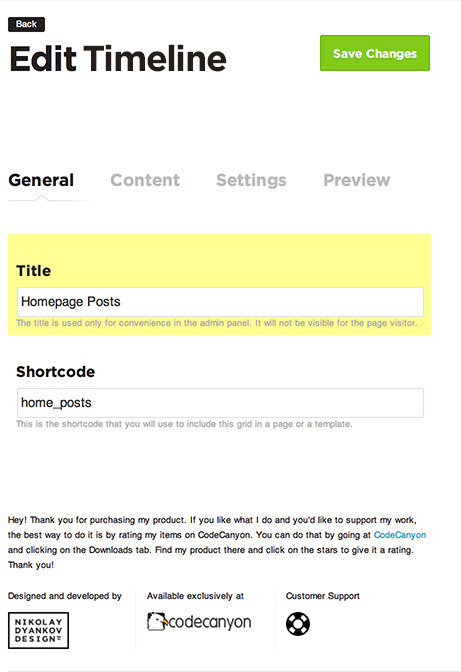 You can now select posts based on a category, tag, custom taxonomy, or specific posts. Fixed a bug in the JS that caused the plugin to crash. Cosmetic fixes, mainly in the CSS and JS files. Small bug fix related to the get_timeline() function. Major bug fix regarding the parsing of the xml file. Decides whether to show every year, every 100th year, etc.